Thank You for the Summer. Today I am hugging the Summer with Golden Goodbye from my heart. My Summer is Sandy Goddess in a sparkling sandy dress with oceanic breathing and pine trees perfume. Her name is la Duna du Pilat. She is a French woman with unforgettable charm. La Duna du Pilat is the tallest sand dune in Europe. It is located in La Teste-de-Buch in the Arcachon Bay area, France, 60 km from Bordeaux. I am blessed by touching her sandy sparkling dress and feeling her waves. La Dune du Pilat has a volume of about 60,000,000 m³, measuring around 500 m wide from east to west and 2.7 km in length from north to south. Its height is currently 110 meters above sea level. She is an impressive and gigantic. I am drawing with her face and eyes. As a butterflies of delta planes. Her charming smile is promising a gift. For all of us – I have brought it to you! Unwrap the candy and enjoy the gift you are blessed by the Summer. Goodbye, Summer! Goodbye Sandy Goddess! We all know her story but nothing about her marriage with Prince Charming. Today’s morning I have found the continuation of her story in the wonderful poem “Cinderella’s Diary” by Ron Koertge. With these Vogue illustration I am happy to share it. hours to dress and then the cheering throngs. Cinderella is running to step-mother’s hands even faster than she was in hurry to Prince Charming. Cinderella’s story in this film is beautiful but you know we should be careful what we wish for. Thank you for your smiling eyes and light breath, it is great pleasure to feel them for me. Have a beautiful day! Thank You for the butter I am generously spreading on my bread. I have a breakfast. The piece of bread is of course gluten free. And butter… oh, I know about cholesterol which is potentially bad for my health. But I love butter. It smells fantastically and it looks as divine honey. What’s the pleasure and the gift I have at this morning! Inspiring by butter and cream in my coffee I enjoy creating my opera “Mademoiselle Butterfat”. My dear friend, her name is Ollie Joy, is a beautiful and gentle cow. I met her in Ventspils, Latvia, we introduced on the Parade of Cows. She watches about at Discovery channel. She took on Feb. 18, 1930, to the International Aircraft Exposition at St. Louis. She was put to work in-flight. As the story goes, she ate her usual feed and produced 24 quarts of milk! She inspired to create lyric opera, “Madame “Butterfat”. It tells the tale of one Farmer Brown, whose farm was about to go under. So that they could fly her in a plane and milk her. Farmer Brown loved the cow but had no choice; he sold her. Two girls are talking on the bench. Please enjoy the opera and love your breakfast creating your own masterpiece, singing and laughing about everything you see! As I love my “Mademoiselle Butterfat”. Thank You for Hans Christian Andersen. We all know what today’s date means, 9/11 is the symbol of our fear and fragility. We all need hope and something beautiful inside to keep our own life, and life around. Hans Christian Andersen is our lifesaver. I invite you in Denmark, in Odense where Andersen born, and the museum, where I took the photos. It is a great pleasure to share with you a fairy tale by my eyes with the soul-wrapping-warming-hugging vibrations of the great man. We are in absolute safety here and now. “My native land, Denmark, is a poetical land, full of popular traditions, old songs and eventful history. The Danish islands are possessed of beautiful beech woods, and corn and clover fields. Upon one of these green islands, Funen, stands Odense, the place of my birth. Hans Christian Andersen was about 1.85 metres tall – 25 cm above the national average. The longlimbed tall man, the characteristic head with its deep-set eyes and the large nose did not come within the ideal for beauty that prevailed at the time. He was thought to be ugly, odd – yes, even repulsive – and his outward appearance attracted attention and made a clumsy, comical impression on most people. Those, however, was only the initial impression. Those who got to know the writer more closely gained a different impression. They found his face full of life and wit, his figure stately and his bearing elegant. Hans Christian Andersen was very fond of looking at himself in the mirror. This was not out of an inordinate love of finery, although he was very concerned about how he dressed. There are about 160 photographs of the writer, but not many of them resembled the actual man, was the opinion of his friends. Throughout his life, Hans Christian Andersen had a colossal imagination, something which the writer thought of as both a great gift and a curse. The most trifling criticism or reproof could disturb his spirits and hurt him deeply. Insignificant incidents were capable of stimulating his imagination to such an extent that he was afraid of becoming insane, like his grandfather before him. “I am like water, everything brings me in motion. Everything is mirrored in me. This must be part of my nature as a creative writer and often I have derived pleasure and blessing from it, although often it has also been a torment,” the writer wrote to his friend. “I have heaps material, more than for any kind of writing; it often seems to me as if every hoarding, every little flower is saying to me, “Look at me, just for a moment, and then my story will go right into you”, and then, if I feel like it, I have the story,” he said. Touching the genius of Hans Christian Andersen makes me happy. I remember my mother’s warm and calm voice reading “The Princess and the pea”, “They could see she was a real Princess and no question about it, now that she had felt one pea all the way through twenty mattresses and twenty more feather beds. Nobody but a Princess could be so delicate.” I read Hans Christian Andersen’s stories for my daughter and I do hope my grandchildren will love its. A family blanket from our childhood is keeping happy memories about familiar and close voices, hands, and smells of milk with honey and a book of fairytales. This blanket is our shield and life vest I am trying to enwrap you in warming your soul. I am happy to suggest a film about the writer. Beautiful film is instead the devastating and depression world news for keeping souls and minds safe and beautiful. “The history of my life will say to the world what is says to me – There is a loving God, who directs all things for the best” Hans Christian Andersen said. “God directs all things for the best,” I am repeating for myself and for you. We are in safety until a fairy tale lives in us. Thank You, Hans Christian Andersen! You are our lifesaver. Thank You for the Knowledge Day! We are celebrating the 1st of September, our first day in school! We are happy today. My daughter with hand in my hand goes to the school. I know, my darling, home works are compulsory and sometimes its are difficult and boring. Teachers are different and perhaps you will meet misunderstanding. But I am with you and I help you to open numerous doors to knowledges. I learn with you. With the Danish doors you see, for today I have discovered “The Chaos” written by Dutch writer, traveller, and teacher Gerard Nolst Trenité. This is a classic English poem containing about 800 of the worst irregularities in English spelling and pronunciation!!! Say-said, pay-paid, laid, but plaid. Please enjoy and learn! We all are always have something to learn. Thank you for your smile and my hope that I open something new and fascinating for your mind! Thank you for Knowledge Day I celebrate every year. 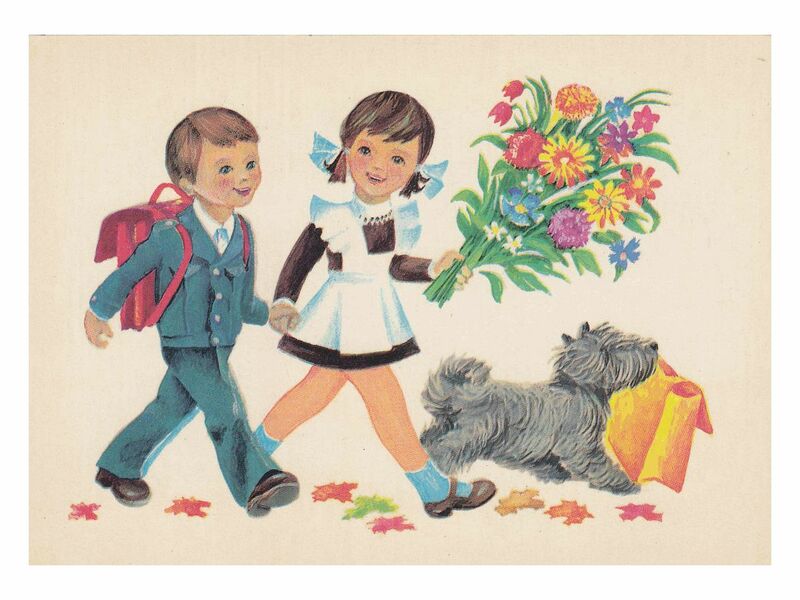 The 1st of September is the Day when a new school year begins in Russia and former USSR countries. A teacher is unmistakably recognised by a lot of bouquets at the Day. I used to be a teacher of the piano and every first day of fall had meant a happy meetings with my new and continued students. Today the Day means a new program of self education for me. By the very happy circumstances a new educational year begins from the Awards. 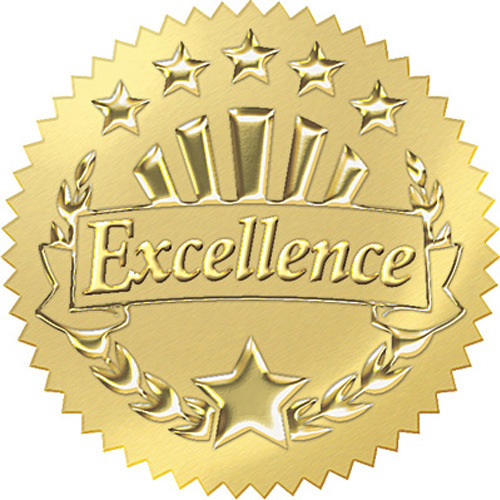 My dear friend Brenda from friendlyfairytales.com has nominated me for the Excellence Award! The rules of nomination said to share something personal: I love the excellence awards! The previous award was the granted scholarship for postgraduate course in Political Science at the University of Manchester! Yes, I have the postgraduate diploma in Political Science. My dissertation was about “The Clash of Civilization” by S. Huntington. This year curriculum includes course in French and compulsory the piano lessons to restore my pianistic technique to play Chopin’s Etude №12 “Revolutionary”. I will play this masterpiece for you! 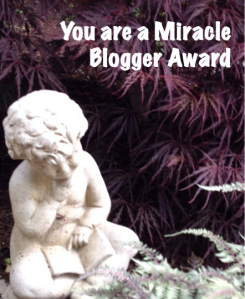 The next nomination from my wonderful Brenda is Miracle Blogger Award. “You are Miracle” said Brenda to me. Thank you, my dear friend. As all Soviet children I went to school at the 1st of September in my first grade class. At the 2nd of September my father died. I was 6 y.o. You know I remember that day was not a tragic or painful. My child’s heart was just angry and misunderstanding: it was my second day in school, my younger sister was 18 month old, and our father died. What’s a ridiculous idea! But life is life, and life goes on. I understood and accepted it later. Perhaps my father’s death was the greatest Miracle and gift for me and my sister. Thank you, father. The next nomination is from Belsbror. 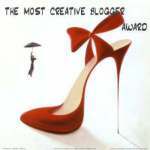 By accepting the Most Creative Blogger Award I need to provide my perspective on my creativity and my source of inspiration. The source of my Inspiration is in every moment I am breathing. Inspiration means breathing. My creativity deals with my daughter’s games and joys, my husband’s intelligence and sense of humor. We are blessed by Happiness and my great pleasure is in sharing it with You!!! Thank You for you. You are A++! Thank You for my happy Soviet school years. Perhaps you can catch some satirical notes in my statement, but I am serious I am happy to be educated in the USSR. We were raised with the certain confidence we are the Peace (Makers and Givers) Angels . Of course the word “angel” was forbidden in the USSR due to there were no place for religions. What’s the advantage, I can afford to use the word in describing the Communist’s country now! I have met in a different opinions of clever people such as philosophers, sociologists, historians, that Soviet education was extremely politicized. I partly agree, because everything which is “extremely” too black or white. 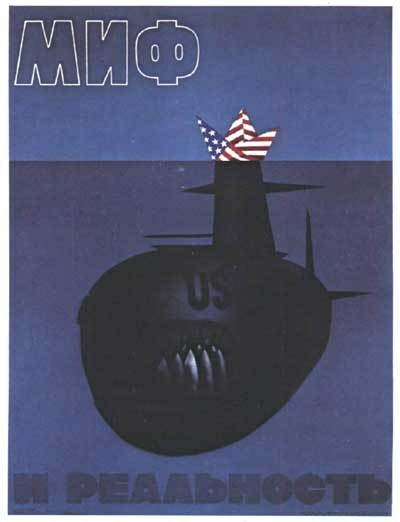 Black and white was a comfortable conception Soviet propaganda used with great success. We, children, clearly understood who winner was. Additional politicizing was not necessary. The educational standards were high, even higher than in the modern ex-USSR countries. We were busy reading “War and Peace” by Tolstoy, by the way in the whole volume, and playing the favorite Lenin’s sonata “Appassionata” by Beethoven in musical school. 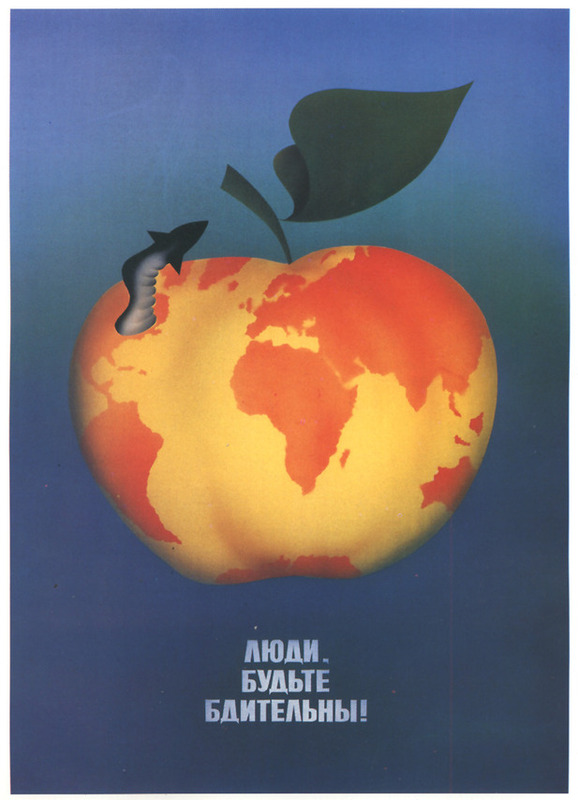 Did you know that foreign language was compulsory for learning from the 4th grade in Soviet school? German and English were popular due to historical reasons. Italian and French were for future artists and musicians. You see the posters from my school. 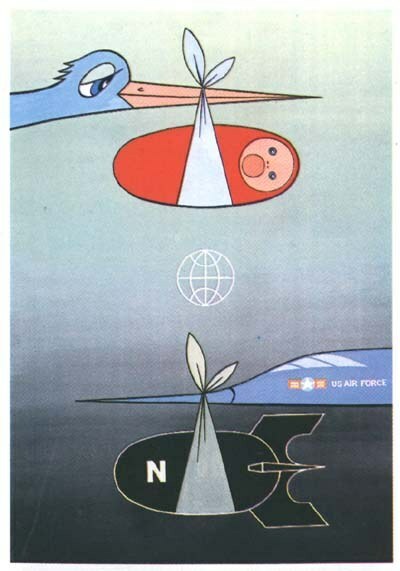 We, Soviet children, had no chance to be frightened by our worst enemy USA. We were protected and happy because of this clearness of understanding. You know to protect citizens is the main aim of every governments. What do we observe today? Thank you for sharing this moment with me. I am happy to think with you.